“Your guys did a phenomenal job! 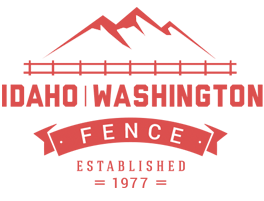 The fence is great!” Dave & Teri S.
“I appreciate the hard working crew at Idaho | Washington Fence. It was easy to trust in their experience. They did everything they said they would do. I’m very happy with the finished product. I would and do recommend them.” Lynette L.
Dan Davis with Property Research, Inc.
“Saved me money and did great work. I love the custom gate they made. I would not recommend any other fence company then Idaho | Washington Fence!. Oh, office staff is extremely efficient too.” Rory B. “The crew was professional and did a great job!” Ethan H.
Thank you for coming out this morning. I also wanted to tell you that I honestly appreciate your willingness to help me fix these gates in the most cost effective way for me. It’s been a real challenge with dishonest people. You have restored my faith that there truly are honest people out there! Get the fence you want today. Find the fence you are looking for. Lets us answer all your questions.